When I was 19, I lost the ability to walk. A skiing accident injured my spine, forcing me to rely on a wheelchair. My way of life changed dramatically, but in many ways, the inability to get around was as crushing a blow as the injury itself. I am lucky enough to be able to drive; however, many people with disabilities must rely on others to get around. They are essentially homebound until a friend or family member can come and pick them up. Simple tasks that most Americans take for granted — like quick trips to the store — are difficult and represent a lost sense of freedom for too many in the disability community. Today, truly self-driving cars can give us the chance to rediscover that freedom. Regulators, automakers and technology companies must do everything they can to make self-driving cars a reality. Today, however, roadblocks to self-driving cars exist, and some well-meaning regulators and so-called safety advocates are mistakenly trying to create new ones. The California Department of Motor Vehicles’ latest proposal would require every city and town in California to pass local ordinances to enable fully self-driving cars to be tested in those communities. That would further delay the eventual deployment of self-driving cars, particularly disadvantaging people with disabilities who would benefit from using this technology to perform everyday tasks that often cross municipal boundaries such as commuting, shopping or visiting their doctor. Delay would continue the painful and shameful history in the United States of missed opportunities for people with disabilities. The updated draft regulations, while a step forward in some areas, also include arbitrary timelines that would not allow for the rapid deployment of self-driving cars in California. The National Highway Traffic Safety Administration has set forth a well-crafted first step with its recently released guidance for self-driving vehicles. Federal officials recognize that they have a unique opportunity to make our roads safer. More than 35,000 people died on American roads last year. That’s a 7.7 percent increase — more than 2,500 additional fatalities — from the year before. Self-driving cars hold the promise of putting a huge dent in that figure. 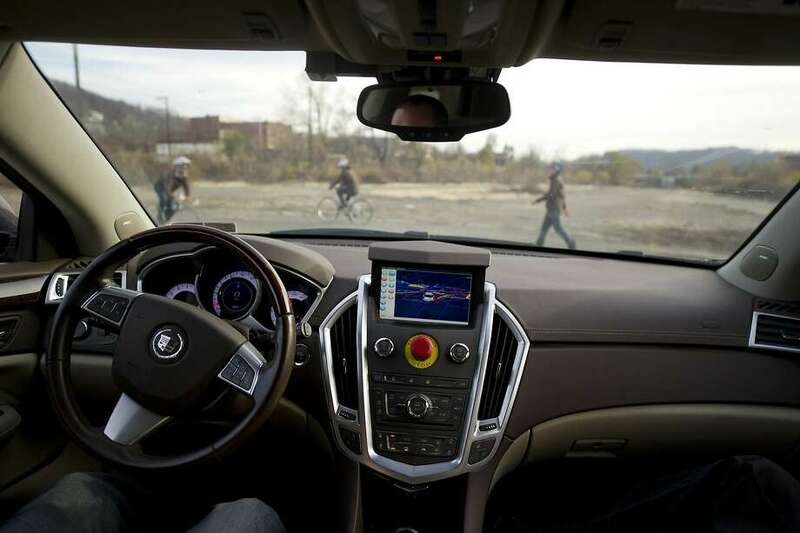 Autonomous vehicles have the potential to change the lives of Americans who are unable to drive. For the person whose seizures due to epilepsy prevents them from getting a driver’s license, to the older adult whose driving skills are deteriorating, causing them to forgo the chance to visit with a grandchild, to the young adult with a developmental disability, these vehicles will be a godsend. By taking the needs of disabled people into account now, the federal highway traffic safety agency and states that follow its lead can help developers avoid the inevitable — attempting to retroactively address barriers to accessibility because they didn’t consider the principles of universal design (which lists equitable use as No. 1) in the early stages of development. This technology will be a huge asset in breaking down the barriers that individuals with disabilities experience. And government at all levels should foster and support the development of this technology, not stifle it. The California DMV needs to hear our voices and ensure state regulations are equitable. The bottom line is that we all agree self-driving cars must be safe before they hit the road, but nobody should create artificial barriers or obstacles to the deployment of this life-saving and life-changing technology. Henry Claypool is a disability advocate and policy director of the Community Living Policy Center at UC San Francisco.